Square Enix will be crossing over Kingdom Hearts III, Kingdom Hearts Union X, and Final Fantasy Record Keeper. 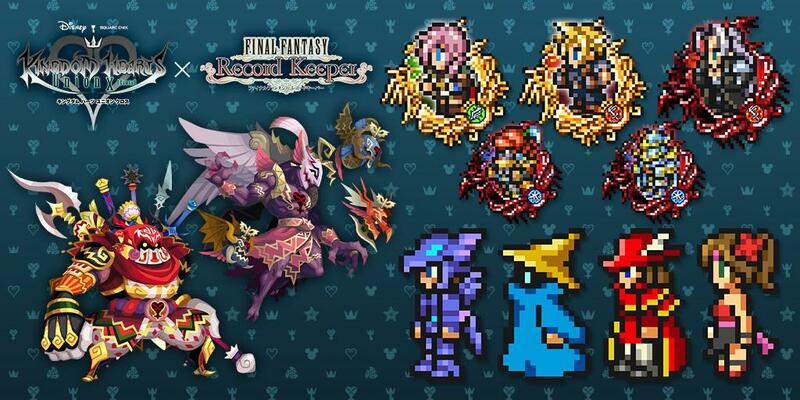 The Record Keeper event begins on February 20th 2019 and ends on March 6th 2019 whereas the Kingdom Hearts Union X event runs from February 22nd 2019 until March 13th 2019. FINAL FANTASY® Record Keeper™(FFRK), the popular mobile game developed by DeNA in collaboration with Square Enix®, will host a collaboration event with the KINGDOM HEARTS Series to celebrate the release of KINGDOM HEARTS III! The event begins on February 20 and runs through March 6. During this event, players will be able to take on various dungeon stages themed from KINGDOM HEARTS, KINGDOM HEARTS II, and KINGDOM HEARTS III. Players will get the chance to relive the history of each KINGDOM HEARTS game, taking on enemies from the series, seeing artwork displayed as dungeon backgrounds and re-imagined as battle backgrounds and hearing music from the series played throughout the event. 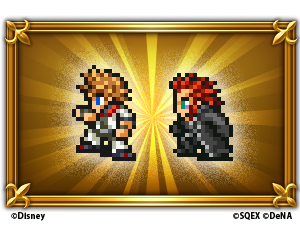 Fan-favorite characters Roxas and Axel will make their debut in FFRK pixel form. In addition, Sora and Riku will return to the game with new Wardrobe Records based on their KINGDOM HEARTS III outfits, giving them a whole new look as they fight alongside memorable heroes from FINAL FANTASY. 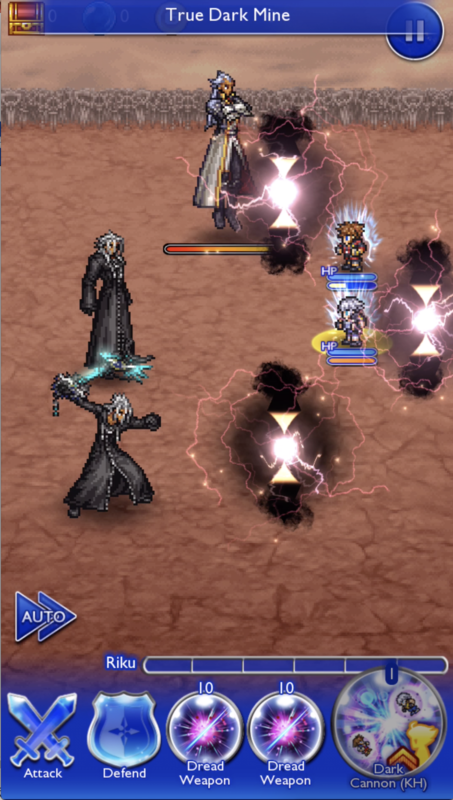 In the "KINGDOM HEARTS SERIES" event relic draws, a type of Soul Break that's new to the worldwide version of FFRK called Awakenings will debut. The first draw has Awakenings for Sora and Riku, and the second draw has ones for Roxas and Axel. Don't miss them! The ongoing "KINGDOM HEARTS" event commemorative login bonus and “KH" event release present are made up of items earned from The Keyblade's Chosen web event. 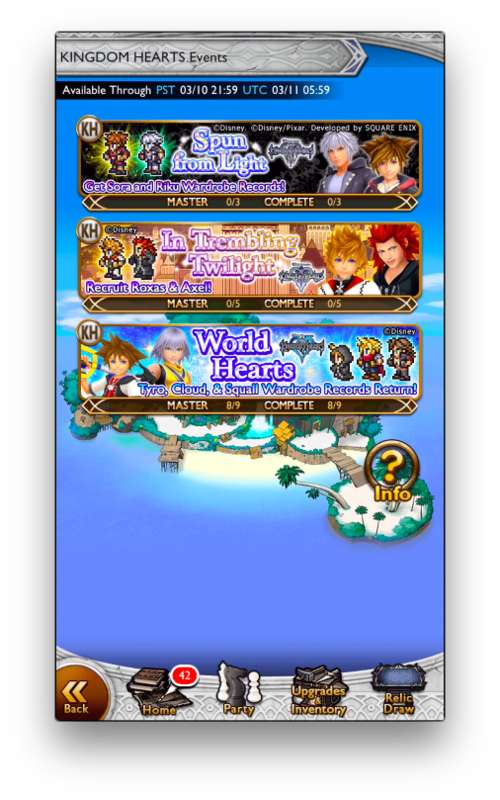 On the first day, you can get items such as the 6★ Keyblade "Shooting Star (KH)", and 10 Mythril. Fans can also acquire 5★ KINGDOM HEARTS accessories – the Dark Ring and Fire Bangle as dungeon rewards. Additionally, FFRK has a free Relic Draw x40 available from February 22 to March 13 PST. Two 6★ relics are guaranteed in this draw. It can be used twice, so you can draw up to x80. In KINGDOM HEARTS Union χ[Cross] , the “Defeat the Weaponmaster Campaign” will be held from February 22 to March 8. Up to six players may work together in a multiplayer quest featuring the Weaponmaster, a Heartless based on Gilgamesh. If the Weaponmaster is defeated 100,000 times during the campaign period, all players will receive 1,000 Jewels. A raid event featuring Mysterious Sir will also be held from February 22 to March 10. Extremely difficult enemies will appear in this raid event, and those who manage to clear it will be given a special reward. In addition, there will be several returning character-themed avatar boards, as well as a special deal (first draw FREE!) featuring popular characters from past FINAL FANTASY titles. Before the mobile collaboration begins, fans can experience a special browser game, “The Keyblade’s Chosen” starting February 12. 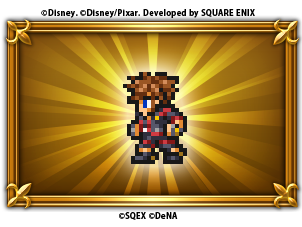 In this event, players must unleash FFRK Soul Breaks to defeat the Heartless and Nobodies. A new stage will be added every other day. Throughout the event, rewards will be given out in both FFRK and KINGDOM HEARTS Union χ[Cross] based on the total points earned by the entire community.